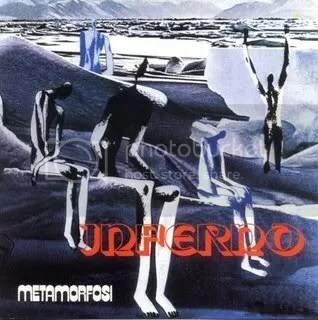 One of the classics of Italian prog, but sometimes overshadowed by the giants of their genre. This is a concept album based on Dante’s Divine Comedy, and the dramatics are in full effect with loud, dominant operatic vocals and big keyboards. An obvious comparison is ELP, but there are also similarities with other Italian bands like Banco del Mutuo Soccorso and Le Orme. Unlike a lot of the concept albums I’ve heard, I think this one actually works most of the way through and doesn’t sound too disjointed or forced, it’s goofy in parts but never too goofy. Definitely an album to be enjoyed by those who don’t mind a little cheese in their prog.